Chewy is your one-stop shop for your furry family. Whether you're running low on dog food, dog treats or are looking to get your pup some new dog toys - we have everything your dog needs (and wants). 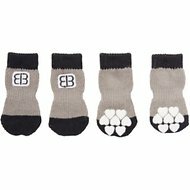 If you've been searching for grey dog boots & socks, look no further. 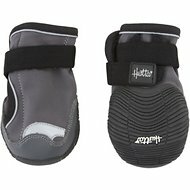 Among the wide selection we carry, one option to try is Hurtta Outback Dog Boots. Key benefit: highly visible 3M reflectors add extra visibility and safety for nighttime adventures. 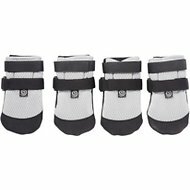 Another product is Ultra Paws Oakley Print Dog Socks. Key benefit: generous silicone swirl grip on the sole is implemented for optimal traction. From nutritious dog food to fun dog toys, Chewy has it all! You'll find everything you need - and if you have any questions be sure to reach out to our customer service available 24 hours a day, seven days a week. 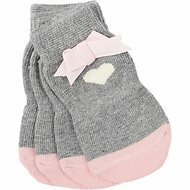 For all your pet needs including grey dog boots & socks, Chewy has you covered! We're here for you.